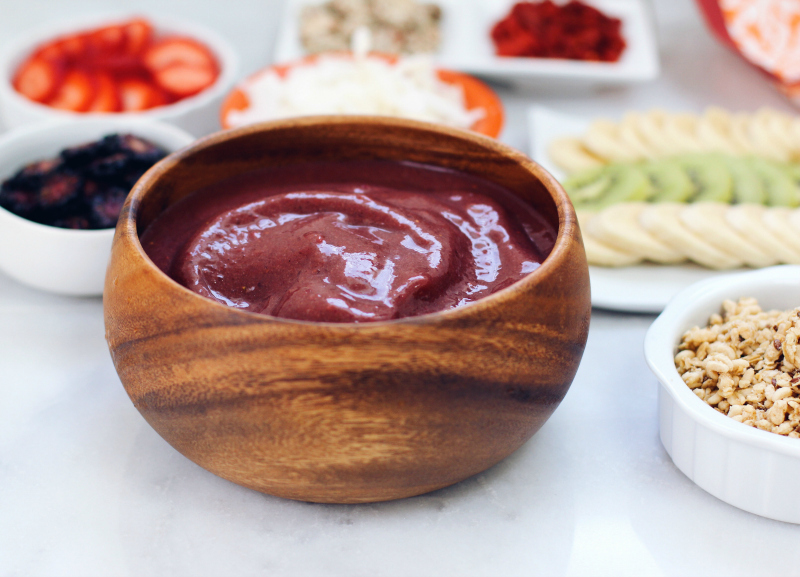 This Friday is Earth Day, and we here at Pacific Merchants are celebrating with our responsibly forested Acaciaware® – the perfect display for these gorgeous and healthy açaí bowls. 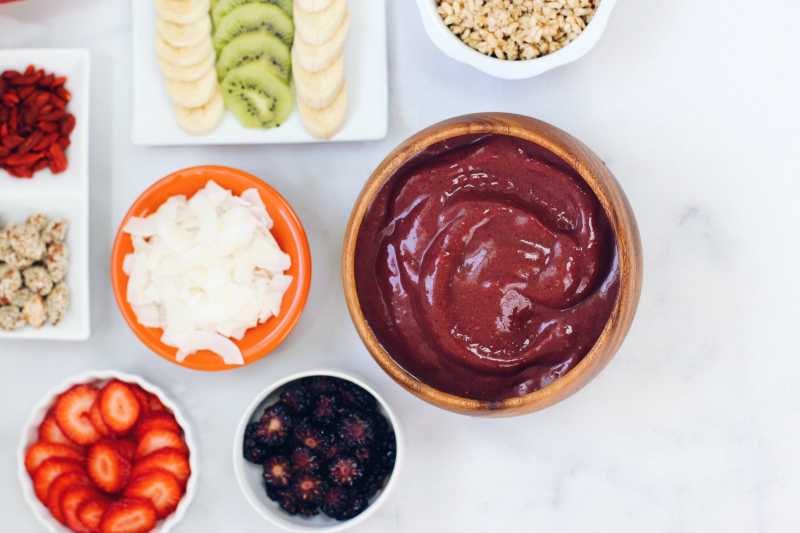 Learning to make açaí bowls at home will not only save you a few bucks, but will also be the perfect activity to celebrate Earth Day this year – especially if using fresh fruits from the farmer’s market! Plus, with the weather heating up, these frozen treats make for an undeniably refreshing and oh-so sweet afternoon pick-me-up. 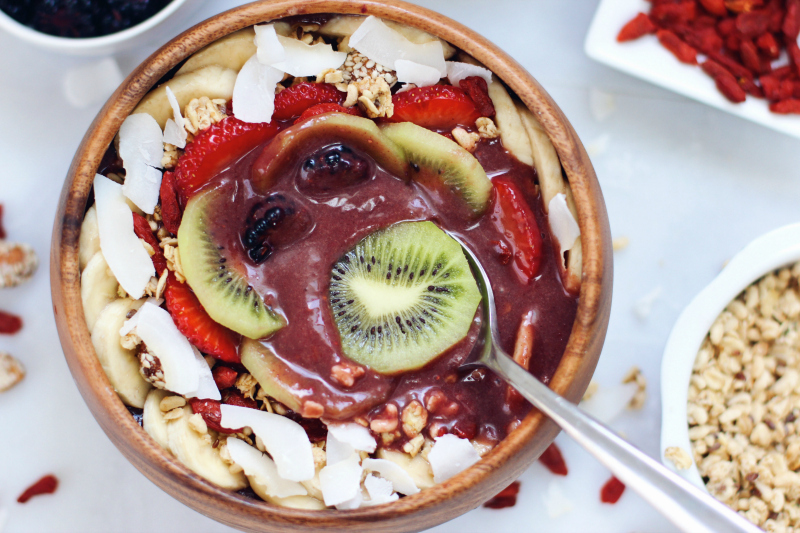 Place the frozen açaí purée, pineapple chunks, mango chunks, banana, and strawberries into a blender. 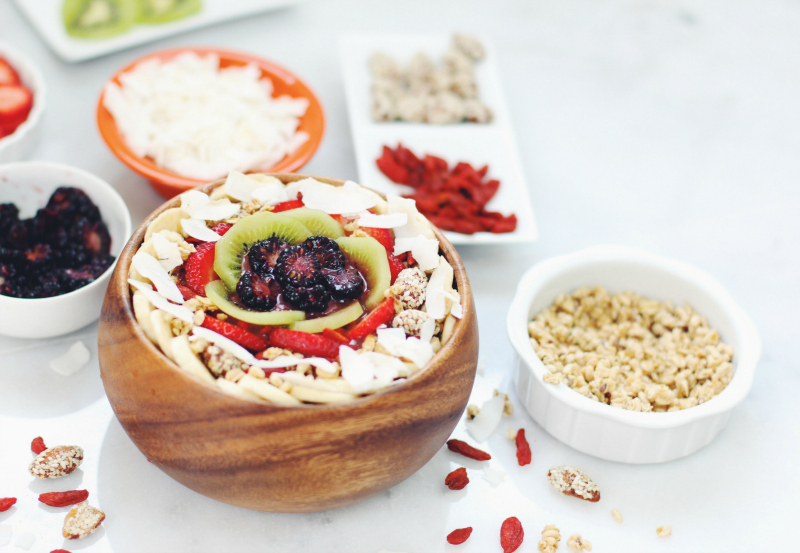 Pulse until the frozen fruit is broken down slightly. Slowly add in a splash or two of apple juice, just until the mixture comes together. *Be careful not to add too much! Blend until smooth. 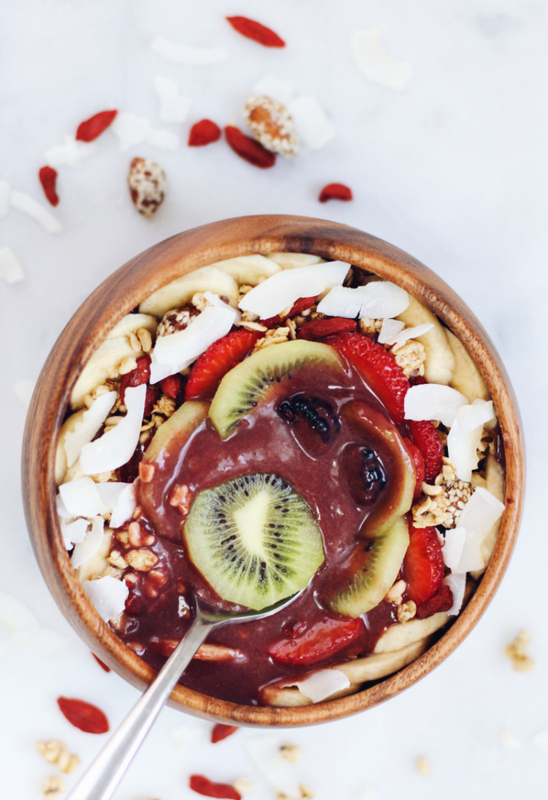 Pour the smooth and creamy blended açaí into an Acaciaware® bowl, decorate with your favorite toppings, and enjoy! This entry was posted on Wednesday, April 20th, 2016 at 9:17 am and is filed under Acaciaware, Do It Yourself, holiday, Homemade, Recipes. You can follow any responses to this entry through the RSS 2.0 feed. Both comments and pings are currently closed.